While refinancing a mortgage can offer a lower monthly payment and save money, there are also mistakes and traps to be avoided. 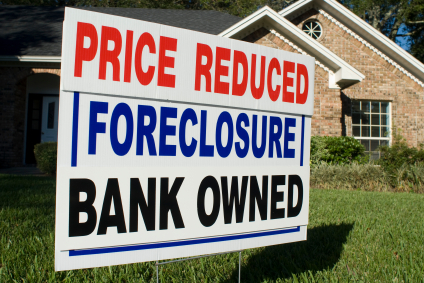 Mistakes that could cost not only thousands of dollars, but could ultimately result in foreclosure if the homeowner is not careful. Continue reading to learn what a borrower needs to be aware of and avoid when considering refinancing a home loan. Our refinance calculator shows how much you can save with lower rates. Borrowers need to be aware that some mortgage companies may include pre-payment penalties in the loan contract. Offered as a clause in the contract, they may require a penalty payment if the property is refinanced or sold prior to a specified date. While most lenders do not insert penalties for pre-payment in the contract, there are some less than reputable lenders who impose excessive penalties – sometimes as high as 85% or six months of interest on the original balance of the loan. It is important to learn what penalties may be in the contract prior to signing. Another clause that may be in the contract is the Arbitration clause. Arbitration allows for a third party to be brought in to resolve disputes the borrower may have with the lender. The law allows protection and rights be granted to the homeowner, but by agreeing to an arbitrator, much of that if forfeited. It is best not to agree to arbitration, as it could prove to be a costly error later on. Homeowners can often be misled by less than reputable mortgage lenders who attempt to lure those with good credit into accepting bad loans. The purpose is to charge high fees and rates for the loan and thus make more money. The best way for a homeowner to get a fair interest rate with their credit, is to compare lenders. Comparing the mortgage rates for several lenders makes it easier to see which ones should be avoided. Wholesale lenders approve and set the interest rate based on the qualifications of the homeowner. Mortgage brokers and companies then mark up the interest rate. That mark up is called “Yield Spread Premium”. However, payment of the higher fee can be avoided. When the lender provides the written guarantee of the mortgage rate of interest, request to see the guarantee they received from the wholesale lender. If this request is refused, search for a lender who will provide the document. The borrower has a right to examine this document. It is important to review the charges on the Good Faith Statement. Overpayment can be avoided by simply looking for the fees. The origination fee should not be any higher that 1-1.5%. The loan processing fee should not be more than $400. And anything resembling courier fees, an application fee, a broker administration fee or a lock fee should not be paid. Just refuse, if the lender still requires payment for such fees, find another lender. Predatory mortgage lenders often ask the borrower to sign incomplete or blank documents, or exaggerate their income. Not only is this dishonest, it is done to structure the mortgage loan as to promote default. The borrower qualifies for a larger property than they can afford, and when they are unable to make the payments the lender forecloses and takes the home. It is important for the borrower to do the necessary research on mortgage offers in order to help them to recognize dishonest mortgage lenders. This is one of many different types of fraud dishonest lenders may push. Homeowners often have different reasons for refinancing. Some simply seek to reduce their rate of interest. However, that may not always be to their advantage, as the related fees may end up being more that the gains from the rate reduction. In order to make the best decision, it is important to have an understanding of their reasons. It could be for consolidation of debt, home improvement, or for a major purchase. It could also be for other personal or financial reasons, perhaps taking a loan for cash to purchase a car. Some purchases may be used for deductions on interest payments on the tax return. It is always wise to consult a tax attorney, accountant or financial planner prior to making those decisions. Homeowners can deduct the interest on up to $750,000 of mortgage debt from their income taxes, but the 2018 tax law no longer allows HELOC or home equity loan interest to be deducted unless the debt is obtained to build or substantially improve the homeowner's dwelling. The cap on second mortgage debt interest deductibility is the interest accrued on up to $100,000. Does Mortgage Life Insurance Make Sense for Your Family? If you are extending a 30 year mortgage 15 years after you got into it then old age is something worth thinking about. If you are in poor health and/or are elderly it might make sense to look into life insurance for mortgages. Such plans ensure that your home and family are safe if anything should ever happen to you. Whereas if you are young and in good health and/or have plenty of savings then the upside in buying such insurance is much more limited. Annual Percentage Rate or “APR “is often used by mortgage brokers to get the homeowners attention. However, in the end, they may cost the borrower more. The rates are based on a 30 year mortgage and an accelerated plan for payment. Most lenders will allow the borrower to choose this type of plan if they want. But it is important to both know the actual rate of interest to compare mortgage loans and to understand the payment plan to avoid being surprised later on. Use our real APR calculator to calculate the true APR on your home loan. It is in the best interest of the homeowner to choose a mortgage lender that has quality service. The goal is to accomplish the refinance in a short period of time and with little or no hassle. Don’t be afraid to ask the mortgage broker for details about their service plan and their performance guarantees. Ask the mortgage lender for information on term, rates and any other loan products they may have. And again, as in the main theme of this article, it is in the best interest of the borrower to be well informed. Small details can save or cost thousands of dollars.